Are you going to organize a bowling party at your place? 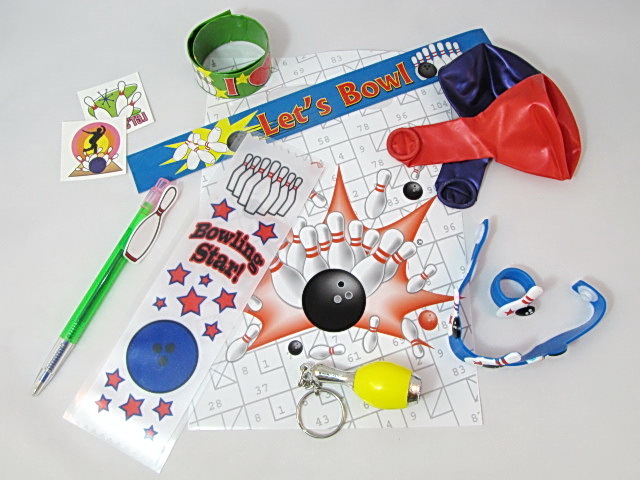 There are prismatic options of the bowling party supplies that can add more color and character to your party. Choose the customized bowling invitation cards to create more excitement in mind of invitees. Get all your work done from ordering a bowling party cake to party gift packages within fraction of seconds at comfort of your home. Go through the complete range of party decoration supplies such as bowling loot bags to give your interiors a real aesthetic feel of bowling game.